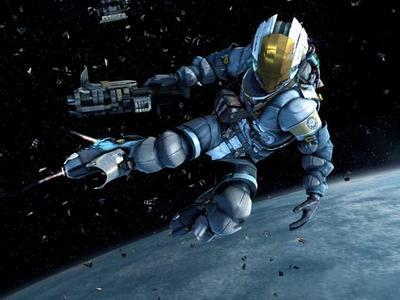 Dead Space 3 sparked a wave of criticism from fans when it was uncovered that developer Visceral Games would be abandoning its survival horror roots and taking more of a heavy action approach to its gameplay. So far, critics have been fair to the game, but the overall aggregate scores are a far cry from the universal praise of the first two entries. Dead Space 3 has picked up an unexpected critic in the form of the first game's writer, Antony Johnston, who does not entirely agree with the "different direction" the series has taken. He laments the shift towards action, calling it "a necessary evil in order to broaden the fan base" and a huge shift from "one of the main reasons I wanted to work on [the first] Dead Space." "I think it's a shame they have to make these changes in order to sell more copies. But that's the reality of making mega-budget games these days, and I have a lot of love and respect for the [Dead Space] team at Visceral." After penning the first Dead Space game, Johnston followed up writing the extremely talky and cutscene heavy Binary Domain, but he more than made the jump back into his passion with his work on the most extreme survival horror game in recent memory, ZombiU. While he might not agree with Visceral's choices, he certainly understands the reality of the decision and doesn't hold it against his former comrades, thinking survival horror in the mainstream market is "a very difficult balancing act to pull off" and that "Visceral has done an admirable job of maintaining that balance." "Developers and publishers need to come to terms with it never being a mass thing, like books and films, it's a niche. But there's still profit to be had, and they should set expectations accordingly." Check out Johnston's thoughts on survival horror and the future of the genre in the entire interview now at StickTwiddlers. Dead Space 3 can be picked up today for the Xbox 360, PlayStation 3 and PC. Any fans out there prefer the former survival approach, or has the change been worth it?